Since I am not very proficient at rolling the stuffed cabbage I found this recipe that I often make to rave reviews!! In a large skillet or dutch oven, brown the ground beef and onions. Drain. I like fried cabbage with onions and kielbasa. I'm half Ukrainian. You'd think that would make my mother a natural at making cabbage rolls. But no. Her cabbage rolls were so horrid that to this day I avoid cabbage anything. 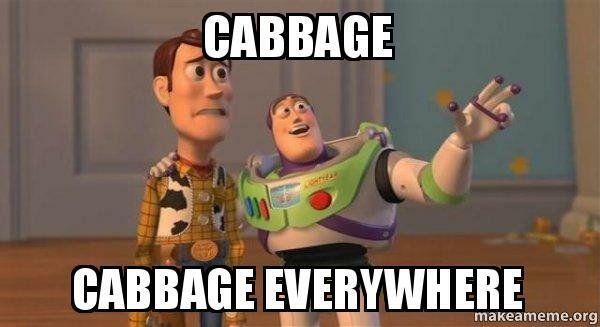 Cabbage is good for the gut...but beware the gas ! I'll be sure to stand upwind.